Other airlines have made similar moves amid concerns that Brexit could severely disrupt air traffic between Britain and continental Europe. RYANAIR HAS APPLIED for a British operating licence in case Britain leaves the European Union next year without an aviation deal. 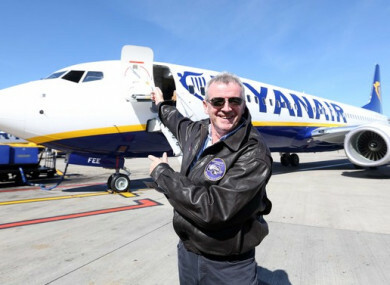 A spokesman for the airline said: “Ryanair today confirmed that a subsidiary company, Ryanair UK, filed an application on 21 December for an Air Operator’s Certificate (AOC) with the Civil Aviation Authority in the UK. This may be required for Ryanair’s three UK domestic routes in the event of a hard Brexit in March 2019. In October, Hungarian budget airline Wizz Air announced that it too was establishing a British division, Wizz Air UK, to make its operations “Brexit ready”. In July, British low-cost airline easyJet established a Vienna-based division to allow it to keep flying across the EU amid any Brexit fallout. Email “Ryanair applies for UK licence ahead of Brexit”. Feedback on “Ryanair applies for UK licence ahead of Brexit”. This is YOUR comments community. Stay civil, stay constructive, stay on topic. Please familiarise yourself with our comments policy here before taking part. The Irish For: Why do we remember things from TV and what does that mean for learning languages? ‘Thousands of Irish people know their rights if they’re arrested in America but not if they’re arrested in Ireland… and nobody would know what mitosis was if it wasn’t for Sabrina,’ writes Darach Ó Séaghdha. Thousands of indigenous people have attended a minga -a collective action for the common good – in defence of life, writes Kieran Duffy.